Below you fill find all funeral homes and cemeteries in or near Pottstown. Suburbs of Pottstown: Sanatoga, Stowe. 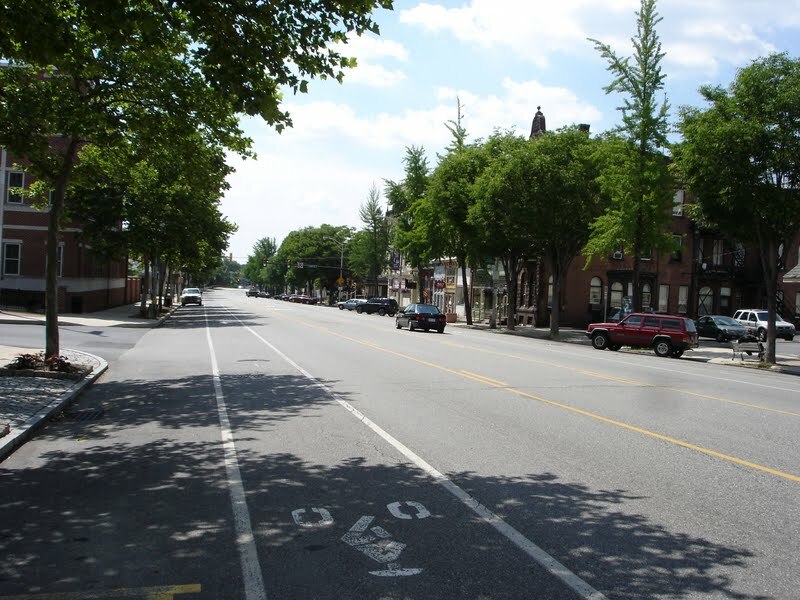 Pottstown is also known as: Montgomery County / Pottstown borough. Zip codes in the city: 19464, 19465. Gofus Memorials, Inc. is owned and operated by Russell and Amber Gofus, the owners of Houck and Gofus Funeral Home, Inc., established in Pottstown in 1908. Pottstown has been featured in films like: Stake Land (2010). Some of the notable people born here have been: Aaron Beasley (american football player), Rian Wallace (american football player), Jack Deloplaine (american football player), Don Strock (american football player and coach), Todd Hallowell (film producer and production designer), Nicole Barnhart (football player), and Susan Dean (actor). Not to be confused with Pottsville, PennsylvaniaPottstown is a borough in Montgomery County, Pennsylvania, United States about 32 miles (55 km) northwest of Philadelphia and 15 miles (24 km) southeast of Reading, on the Schuylkill River. Pottstown was laid out in 1752–53 and named Pottsgrove in honor of its founder, John Potts. The old name was abandoned at the time of the incorporation as a borough in 1815. In 1888, the limits of the borough were considerably extended. Pottstown is the center of a productive farming and dairying region.In the past, its iron and steel interests were very extensive. There were large rolling mills, furnaces, nail works, textile mills, bridge works, agricultural-implement works, boiler and machine shops, foundries, and manufactories of bricks, silks, shirts, hosiery, etc. In 1900, 13,696 people lived there; in 1910, 15,599; in 1920, 17,431; and in 1940, 20,194 people lived there. The population was 22,377 at the 2010 census.Pottstown is not to be confused with Pottsville, a city in Schuylkill County well known for being the home of the Yuengling brewery. It was written on October 10th, 2018 that Alice M Strieby (Bodine) passed on in Pottstown, Pennsylvania. Ms. Strieby was 100 years old and was born in Kansas City, KS. Send flowers to express your sorrow and honor Alice M's life. It was reported on September 23rd, 2018 that Beverly Louise Scaglione (Rahn) died in Gilbert, Arizona. Ms. Scaglione was 76 years old and was born in Pottstown, PA. Send flowers to express your sorrow and honor Beverly Louise's life. It was written on May 17th, 2018 that Edward Joseph Vandusen perished in Pottstown, Pennsylvania. Vandusen was 55 years old. Send flowers to express your sorrow and honor Edward Joseph's life. It was disclosed by Statesville Landmark on March 11th, 2018 that Samuel Augustus Jr Gromis died in Mooresville, North Carolina. Gromis was 84 years old and was born in Pottstown, PA. Send flowers to share your condolences and honor Samuel Augustus Jr's life. It was reported by Cincinnati Enquirer and Cincinnati Post on July 13th, 2017 that Donald Frederick Keck perished in Hamilton, Ohio. Keck was 90 years old and was born in Pottstown, PA. Send flowers to express your sorrow and honor Donald Frederick's life. It was written on February 16th, 2017 that Edwin E Sr Best perished in Pottstown, Pennsylvania. Best was 84 years old and was born in Seneca, NY. Send flowers to express your sympathy and honor Edwin E Sr's life. It was revealed by The Roanoke Times & World News on January 4th, 2017 that Barbara Fore (Cook) perished in Scottsburg, Virginia. Ms. Fore was 76 years old and was born in Pottstown, PA. Send flowers to share your condolences and honor Barbara's life. It was disclosed by Albany Democrat-Herald on December 30th, 2016 that Virginia Wilson (Latshaw) passed away in Corvallis, Oregon. Ms. Wilson was 82 years old and was born in Pottstown, PA. Send flowers to express your sorrow and honor Virginia's life. It was reported by Orlando Sentinel on December 8th, 2016 that Edith M Strouse (Emerick) passed on in Florida. Ms. Strouse was 96 years old and was born in Pottstown, PA. Send flowers to express your sympathy and honor Edith M's life. It was reported on August 10th, 2016 that Carl Eugene Christman perished in Lowville, New York. Christman was 94 years old and was born in Pottstown, PA. Send flowers to express your sympathy and honor Carl Eugene's life. Germans, Swedes and English were among the first settlers in the area. Pottstown is the center of a productive farming and dairying region. Modern day Pottstown is established on land originally deeded to William Penn. Over time, Pottsgrove grew and in 1815, was incorporated under the name Pottstown becoming the second borough in Pennsylvania after Norristown, Pennsylvania The extension of the Reading Railroad to Mount Carbon, Pennsylvania Carbon facilitated the movement of raw materials and finished goods which helped Pottstown's economy to grow. This was reduced to seven members in redrawn wards. They established a forge in the area and built a large home just west of the Manatawny Creek. The official website for the city of Pottstown is http://www.pottstown.org. Lindsey (Brobst) and William McHugh of Pottstown, Pa., and Shannon (Fauver ... P.O. Box 107, Springville, PA 18844 (note for use on Safety Gear). Marion Nelson Funeral Home in Lake Wales is in charge of local arrangements. Funerals in Pottstown, PA on Yahoo! Local Get Ratings & Reviews on Funerals with Photos, Maps, Driving Directions and more. Listing all funeral homes in Pottstown, Pennsylvania so you can easily send flowers to any location (same day delivery) or find any funeral service. We work with local florists and flower shops to offer same day delivery. You will find budget sympathy flowers in Pottstown here. Our funeral flowers are cheap in price but not in value.